A snow plow driver from Waterford and his wife have both pleaded not guilty to second degree murder in the death of a St. Johnsbury Academy teacher. Melissa Jenkins’ body was found in Barnet on Monday afternoon. Allen Prue, 30, and his wife, Patricia Prue, 33, are both charged with the strangling death of Melissa Jenkins. Jenkins disappeared Sunday evening. Her 2-year-old son was found in his mother’s idling car on a back road not far from her home. The child was not harmed. State Police Major Ed Ledo said the Prues are independent snow plowers who have plowed Jenkins’ driveway. After being arrested early Wednesday, the Prues were taken to the Northeast Regional Correctional Center in St. Johnsbury. 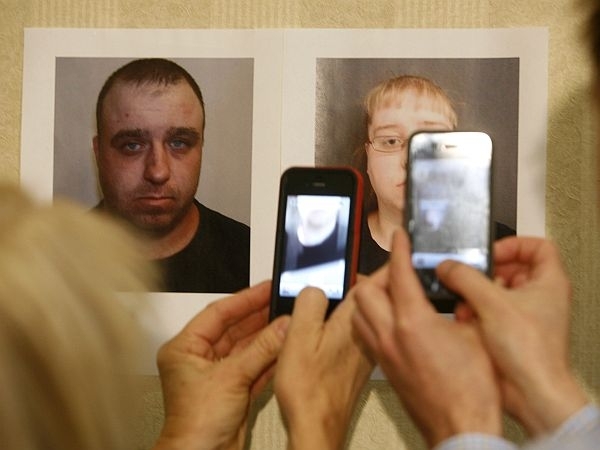 They appeared separately in court in St. Johnsbury and pleaded not guilty. They are being charged with second degree murder. Ledo said additional charges could be forthcoming and declined to answer questions, saying the investigation was ongoing.